Dr John Staffurth is a Consultant Clinical Oncologist specialising in urological oncology. His clinical base is at Velindre Cancer Centre and the University Hospital of Wales and his academic base is at Cardiff University where he is Reader in Oncology in Professor Malcolm Mason’s research group. He trained at Guy's Hospital, qualified in 1992 and started clinical oncology training in 1996. 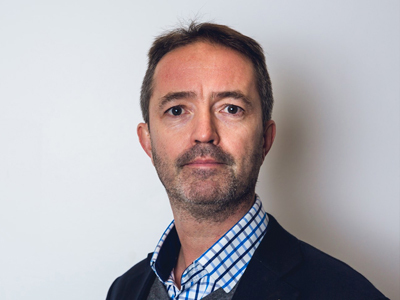 He moved to the Royal Marsden in 1999 and joined the Academic Urology Unit in 2000 taking an MD in IMRT in Pelvic Malignancies at the Institute of Cancer Research. Dr Staffurth's current research interests are technical radiotherapy for bladder and prostate cancer, and all other aspects of prostate cancer, specifically management of castrate refractory disease states and the immunology of prostate cancer. He leads the introduction of both IMRT and IGRT at Velindre Cancer Centre. Dr John Staffurth does not hold a share or financial interest in the Rutherford Cancer Centres or another Proton Partners International company. Dr John Staffurth does not have a share or financial interest in equipment used at the Rutherford Cancer Centres or another Proton Partners International company. Dr John Staffurth does not hold any paid advisory role(s) at the Rutherford Cancer Centres or on behalf of Rutherford Cancer Centres or Proton Partners International.